Yaniv included interdisciplinary studies in his curriculum and joined a team of doctoral students working with Prof. Dov Dori from the Faculty of Industrial Engineering and Management. His research dealt with: "The development of novel methodology for analyzing data systems". "Took courses from advance computer science studies. The multi-disciplinary approach of the program was very helpful and relevant for R&D management positions that required wide understanding of different disciplines." 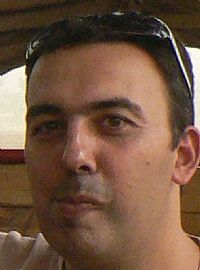 "Yaniv is an experienced leader of technological operations, who has been directing Wix’ R&D team since September 2011. Prior to joining Wix, Yaniv served as VP Product and R&D at Pudding Media, a start-up providing a SaaS-based mobile advertising solution. From September 2001 for eight years Yaniv headed Comverse’s R&D Organization of Content Business. Previously, Yaniv served as the Director of R&D at EverAd, a startup in the music and advertising industry."